Literary Analysis | Expecto Patronum! “There’s no need to tell me I’m not brave enough to be in Gryffindor. Malfoy’s already done that,” Neville choked out. Harry felt in the pocket of his robes and pulled out a Chocolate Frog, the very last one from the box Hermione had given him for Christmas. He gave it to Neville, who looked as though he might cry. Neville!!! I finally get to write a post about Neville!!!! (Even if it is also in the context of talking about Omniscient Narrator POV). The Harry Potter series (as we’ve discussed ad nauseum lately) is generally written in a limited 3rd person Point of View. But it does dip occasionally into Omniscient Narrator – for five chapters, and random occasions when Rowling needs to get us outside Harry’s consciousness and give us a broader view of the action. For example: Quidditch. Rowling sometimes puts us right up there on the broom with Harry. But at other times, she takes us down into the stands, far far away from Harry’s point of view. And it’s in one of these Quidditch Omniscients that Neville Longbottom first shows signs of why he was sorted into Gryffindor. We’ve talked before about how Neville is set up early on as sort of comic relief. He loses everything that’s not attached to him. His magic is weak. He brews catastrophic potions. Malfoy bullies him mercilessly. And when he receives the Remembrall from his gran, he can’t even remember what he forgot to remember! Neville went bright red but turned in his seat to face Malfoy. “I’m worth twelve of you, Malfoy,” he stammered. Ron’s nerves were already stretched to the breaking point with anxiety about Harry. Neville hesitated, then clambered over the back of his seat to help…. Hermione… didn’t even notice… the scuffles and yelps coming from the whirl of fists that was Neville, Crabbe, and Goyle. Okay, I snipped some extraneous words, but I didn’t change the basic meaning. Neville(!!!) gets into Ron’s fight, taking on Crabbe and Goyle by himself while Ron wrestles Draco! Keep this in mind for the future. It may take a long time for Neville to fulfill his promise, but JKR lays in the seeds for where Neville ends up on the Gryffindor brave-o-meter right here in PS/SS. Oh, and just to tie things together… that Chocolate Frog Harry digs out of his pocket after Draco hits Neville with the Leg-Locker Curse is the same Chocolate Frog that gives the Trio enough information on Nicolas Flamel to find out about the Philosopher’s Stone. Neville is deeply wounded and ashamed by his parents’ having been tortured into madness – so much so that he never tells his friends. It’s only when his friends inadvertently find out (and don’t think any worse of him for it) that Neville finally lets his guard down and really starts coming into his own. I love the scene in in OotP, in which Neville’s grandmother – whom we’ve been led to believe up to this point is a severe and forbidding woman – tells Neville that there’s nothing to be ashamed of. Without the effective loss of his parents, Neville would have led a much more normal childhood, with considerably less pressure from his relatives to demonstrate that he’s not a Squib. He probably would have grown into his magic abilities more naturally. 2) Neville evolved into a remarkable leader of Dumbledore’s Army and a true Gryffindor, do you think his previous incompetence was due to lack of confidence? What events in the series allowed him to gain the confidence he needed? I think I kind of answered this in #1, but I’ll expand here. I believe that Neville’s incompetence is a result of fear. This is a kid whose parents have been tortured into insanity. His parents had strong magic abilities – as did the DEs who tortured them. And the DEs tortured them using magic. I personally think that even though he’s truly a Wizard, Neville is rather scared of magic because of what it has cost him. Add to that the pressure put on him by his family to prove that he’s got magic, and you get a kid who’s really a basket case. I think that what gave him the confidence he needed was 1) excelling in Herbology and 2) becoming part of Dumbledore’s Army. Professor Sprout was very supportive of Neville’s abilities, and Professor McGonnagall was very supportive of Neville pursuing Herbology. But perhaps more important for Neville was joining D.A. Neville got to learn some DADA without the pressure of grades. And his friendships with the Trio solidified through D.A. After the Trio discover him at St. Mungo’s, Neville realizes that they still accept him and love him. Even though I don’t think it’s specifically stated in the text, I thinks it’s probable that the Trio’s acceptance when they learn Neville’s “secret” is what helps him get over his sense of shame and come into his own. I see the accidental meeting at St. Mungo’s as Neville’s turning point. 3) How does the power of love manifest itself in Neville’s actions throughout DH? I think it’s the love of his friends that finally brings Neville out of himself and helps bring out the true Gryffindor in him. And in DH, Neville has a chance to “give back” to his friends what they have given to him. 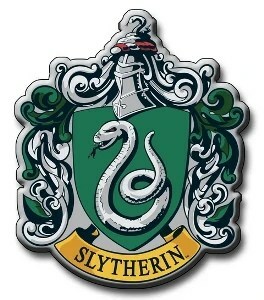 In some ways, it’s shocking that it’s Neville of all people who lifts the sword out of the hat and kills Nagini. But on another level, it’s perfect. He loves Harry, and he thinks Harry is dead, and he is going to defy Voldemort even if it means his own death. It is a deeply satisfying resolution to Neville’s journey – which in some ways is the longest journey of all our young Gryffindors, from the incompetent boy who couldn’t do anything right to the young man who made it possible for Harry to win the war once and for all. I think that Neville would be a good teacher because he has a passion for his subject, and he’s a natural leader. He didn’t know he was a leader until the position was thrust upon him in Year 7, but he completely stepped up into that role. I think he would interact well with students. Speaking quietly so that no one else would hear, Harry told the other two about Snape’s sudden, sinister desire to be a Quidditch referee. “Don’t play,” said Hermione at once. “Say you’re ill,” said Ron. “Pretend to break your leg,” Hermione suggested. “Really break your leg,” said Ron. Well, wouldn’t you know it? I write the generally accepted fact that Harry Potter is written primarily in 3rd person limited Point of View, and I get polyjuiced and parodied. And now, I have to step right back in to the fray because we are about to enter one of the richest chapters in all of PS/SS for showing how the limited Point of View works to throw the reader off! Sometimes, you just can’t win. 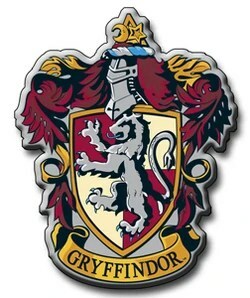 But hey, I’m a Gryffindor. It’s in my nature to fly into the face of danger. Iggy, who likes to comment here, told me yesterday that Snape’s “sudden, sinister desire to referee Quidditch” is one of her favorite lines in the series. It’s one of mine as well. The beauty of the line is that it reads as if the narrator is indicating that Snape’s desire to ref is sudden and sinister, when actually Harry only interprets it to be sudden and sinister. How do we know that this is an interpretation? Because we later learn, during Harry’s encounter with the book’s real bad guy, that it is objectively false. Harry believes that Snape is out to steal the Philosopher’s Stone. He believes that Snape is out to kill him. And so he interprets every action of Snape’s through the lens of those false conceptions. In actuality, Snape is acting as ref in order to protect Harry from another attempt to harm him while he is in the air. Harry didn’t know whether he was imagining it or not, but he seemed to keep running into Snape wherever he went. At times, he even wondered whether Snape was following him, trying to catch him on his own. Potions lessons were turning into a sort of weekly torture, Snape was so horrible to Harry. Could Snape possibly know they’d found out about the Sorcerer’s Stone? Harry didn’t see how he could – yet he sometimes had the horrible feeling that Snape could read minds. Again, this passage passes itself off as factual, when the most damning parts are just Harry’s mind at work. Now what can we glean from this passage, when we strip away Harry’s anxiety? Snape probably is sticking close to him. As we know from the final conversation with Dumbledore at the end of PS/SS (and from TPT in DH), Snape is working to protect Harry Potter. An attempt has already been made on Harry’s life. It makes sense that Snape would shadow Harry, and that Harry would run into his shadow… a lot. But the passage veers off into Harry’s fantasy when Harry starts thinking that Snape is following him in order to catch him on his own – i.e., in order to finish off the murder that Snape [sic] attempted in the previous Quidditch match. We can also glean that Potions probably is not a pleasant experience for Harry. As we know from one of Snape’s conversations with Dumbledore shortly after Harry arrives at Hogwarts (TPT), Snape thinks Harry is a mediocre student with mediocre magic, and he has a tendency to let Harry know it in Potions class. But the passage veers off into Harry’s fantasy when the boy wonders if Snape’s treatment is tied to Harry’s awareness of the Stone. Probably not. It’s probably just Snape being Snape. (I’ll leave alone for now the fact that without specific scenes from the Potions classroom, we don’t really know how much Harry may – or may not – be exaggerating the “horrible”-ness of Snape’s treatment, though it is likely that it is at least unpleasant). Additionally, we can glean that Harry is fairly perceptive about Snape’s Legilimency skills. Snape probably is scanning Harry’s mind at necessary intervals. Snape may or may not know that Harry knows about the Stone, though I tend to think not because of the conversation he later has with Quirrell in the Forest. “Dumbledore?” he said, dashing to the door to make sure. Fred was right. There was no mistaking that silver beard. Harry could have laughed out loud with relief. He was safe. There was simply no way that Snape would dare to try to hurt him if Dumbledore was watching. Perhaps that was why Snape was looking so angry as the teams marched onto the field, something that Ron noticed, too. “I’ve never seen Snape look so mean,” he told Hermione. So what are some possible reasons for Snape’s anger? Oh, I dunno. How about the fact that Snape made himself unpopular with his fellow professors, who assumed (as the Gryffindor team did) that he wanted to referee the game in order to keep Gryffindor from winning? ( something we learn in the closing chapter of the book). Or how about the fact that he’s having to referee the game in order to protect the Potter kid – who is not exactly his favorite person? Or how about the fact that he’s experiencing the indignity of having to get on a broomstick and referee a Quidditch match?!? Then, when the game finally does start, Snape finds himself attacked by Weasley bludgers… and the game closes 5 minutes in with Harry streaking straight at Snape, missing him only by inches in his effort to catch the snitch. Not exactly a wonderful day for Severus Snape. No wonder he “spat bitterly on the ground” when he landed! It makes you wonder if he was playing all these potential scenarios over in his head as he angrily entered the field. “So you mean the Stone’s only safe as long as Quirrell stands up to Snape?” said Hermione in alarm. “It’ll be gone by next Tuesday,” said Ron. In this lovely pasage, we are not in narrator’s voice. Rather, the narrator reports what Harry tells Ron and Hermione after he overhears Snape and Quirrell in the Forest. But Harry has no context for the conversation and consequently interprets it entirely through his suspicions… and gets its meaning completely backwards! In actuality, Snape is not trying to find out from Quirrell how to get past Fluffy; he wants to make sure that Quirrell never finds out how to get past the beast. Likewise, Snape is not trying to break Quirrell’s protective spells; he is most likely discussing Quirrell’s previous “hocus-pocus” attempt to get Harry off his broom. And of course, it’s not Quirrell who needs to stand up to Snape; it is Snape who needs to stop Quirrell. Curiously, Snape’s conversation with Quirrell ends with the comment that Quirrell needs to decide where his “loyalties lie.” We never know exactly how Harry interprets this comment (though we can assume that it’s not favorable to Snape). Regardless of Harry’s interpretation, what Snape is actually asking Quirrell is whether or not he’s loyal to Dumbledore and to the school, just as he (i.e., Snape) is. Despite Harry’s opinion that Snape is a villain out to compromise the DADA professor, Snape is actually 100% loyal to Dumbledore – making this one of the more ironic points in the chapter. But there is one thing that Harry’s right about. There are enchantments guarding the Stone. The “Nicolas Flamel” chapter is almost a misdirection overload! But it’s very good for demonstrating how Rowling uses the 3rd person limited to lead the reader astray so that her big “reveal” will be all that more of a revelation. But remember… none of this means that the Point of View leads to a generally untrustworthy, unreliable, and therefore unstable text. What it means is that Harry’s subjectivity can at times be mistaken and that this mistaken subjectivity can at times be presented as fact. This is not a controversial or radical or (Heaven Forfend!) Deconstructive statement. It is simply an easily verifiable truth based on the text. For the reader’s convenience, however, I have provided some references that discuss Point of View in the Harry Potter series. (Hint: It’s a limited 3rd person POV!). Is Severus Snape a Sociopath? The LOST Finale just ate my brain! Consequently, at the moment, I’m more equipped to blog on Benjamin Linus than on the “Nicolas Flamel” chapter in PS/SS. So instead of proceeding mechanically with the re-read, how about I answer some simple questions implied by search terms people have used to land on this blog in the past few days? Search #1: Is Severus Snape a sociopath? Longer answer: I am assuming that the person who asked this question knows that Snape kills Dumbledore but does not know how the story ends. But if by some weird chance this person is asking the question after reading the series, I suggest doing a re-read and paying closer attention to what Snape is actually doing… not to how Harry is interpreting it! Seriously! Severus Snape is a flawed and wounded hero with a tormented past. But he is not a man without conscience. He is a man with a very heightened sense of conscience but no externally manifested affection for Harry Potter. And because Harry is not his favorite person, Harry (who is desperate for affection) always thinks Snape is up to no good. However, Albus Dumbledore has, in fact, essentially made Snape his right-hand man, and trusts him “completely.” And despite appearances to the contrary (i.e. Snape killing Dumbledore), Snape never betrays Dumbledore’s trust. Being completely trustworthy is not something you would ever be able to say about any sociopath. Hence long answer: Severus Snape is not a sociopath. This is the message Albus Dumbledore inscribed on the first Snitch Harry ever caught in a Quidditch match (against Slytherin, of course). The Snitch responds to the touch of Harry’s lips because Harry caught the Snitch in his mouth, and Snitches respond to the touch of the first person who touched them – i.e. the first person that caught them. In the broader context of the series, this message is telling Harry that he will be able to access what is hidden in the Snitch (the Resurrection Stone) when the time is right – i.e., when Harry is about to meet Voldemort and sacrifice his life. The Silver Doe is Severus Snape’s beautiful, light-filled Patronus. It is a partner to Harry’s mother’s Patronus and is an external manifestation of Snape’s light-filled soul. The Patronus is so powerful that Harry recognizes instinctively that it is not a product of Dark Magic and chooses to follow it, despite not knowing who it belongs to and despite the perilous circumstances he’s in. The Patronus leads Harry to the Sword of Godric Gryffindor, which Snape has planted in a frozen pool for Harry to retrieve. I was sick and tired of the person in the books who wore the glasses was always the brainy one and it really irritated me and I wanted to read about a hero wearing glasses. It also has a symbolic function, Harry is the eyes on to the books in the sense that it is always Harry’s point of view, so there was also that, you know, facet of him wearing glasses. 3rd Person Limited: The primary narrative technique used in the Harry Potter series is a close 3rd person point of view (or a 3rd person limited point of view), tied to Harry’s consciousness and perceptions – as Rowling indicates in the quote above. Because Rowling uses this technique throughout over 95% of the series, we rarely know more than Harry knows or see more than Harry sees. Because Harry is sane, however, his perception of other characters’ actions should be taken as accurate. For example, if Harry sees Severus Snape disappearing into the 3rd floor corridor, then the reader can safely assume that Severus Snape literally did go into 3rd floor corridor. But readers do need to be careful about accepting everything Harry believes to be true. He is often wrong in interpreting motives of characters he dislikes (cf. Snape) – as the ending of PS/SS and as “The Prince’s Tale” demonstrate. The difference here between perceiving actions and interpreting them goes something like this: Severus Snape disappears into the 3rd floor corridor (True) in order to steal the Philosopher’s Stone (False). Since the narrative is coming through Harry’s perception and interpretation, the motive he ascribes to Snape of wishing to steal the Stone is stated in the narrative as if it were fact. But it’s not. Since we see nearly everything through Harry’s perspective, many readers accept Harry’s interpretations without question. This tendency to accept everything Harry believes to be true is what I will call the “Applied Harry Filter.” The “Applied Harry Filter” does not refer to Harry’s perceptions but to readers’ uncritical acceptance of Harry’s interpretations – even those interpretations that are objectively proven to be false. I have written more on limited point of view on the CoS Forum. Unfortunately, what I wrote was rather seriously misinterpreted elsewhere on the Forum, where a poster claims that I make the case that we can trust nothing that Harry perceives. It’s like being polyjuiced into a Deconstructionist! Omniscient Narrator: Omniscient narrator point of view is used in “The Boy Who Lived,” “The Riddle House,” “The Other Minister,” and a couple of Snape-centric chapters – “Spinner’s End” and “The Dark Lord Ascending.” An omniscient narrator provides the reader with information that the lead character is not privy to. JKR’s use of omniscient narrator in the Snape-centric chapters, though, is a great example of misdirection. By choosing to describe these scenes from an omniscient point of view, she shows us Snape acting as a Death Eater while offering us no access to Snape’s thoughts. Because we get no access to Snape’s thoughts, we are unaware that he is actually infiltrating the Death Eaters and working against Voldemort. JKR uses omniscient in these instances to create an impression that is actually the opposite of what is occurring beneath the surface. Narrative Reliability: Unreliable narrator is not a point of view but is a technique that JKR uses occasionally in what I will call “micro-narrations” (i.e. short first-person trips into having another character tell a story). For instance, in one micro-narration, she has one of Snape’s enemies (Sirius Black) describe Snape as having been quite adept at the Dark Arts before ever arriving at Hogwarts. However, there is no evidence in the text to show that what Sirius says is true. When we actually see Snape’s childhood in “The Prince’s Tale,” there is not only no evidence of an interest in the Dark Arts, there is evidence that he does not want to become the type of person who would ultimately be sent to Azkaban. Sirius’ comments on Snape are not reliable – i.e, they cannot be taken at face value. But this does not mean they are untrue – just unverified by the text and unconfirmed by characters who have more objectivity concerning Snape. 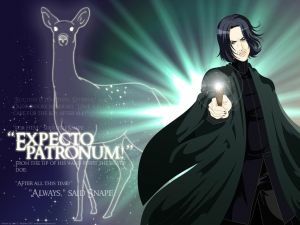 “Expecto Patronum” is Latin for “I expect a Protector.” In its most basic sense, it is the spell used to conjure a Patronus and protect a person from the Dementors. In addition, Expecto Patronum is the name of this blog (which is probably why the user landed on this page). And as a huge fan of LOST, I’m thinking of expanding the blog to include commentary on LOST in light of the Finale. Thankfully, the name Expecto Patronum can readily cover LOST content as well as Harry Potter content. After all, the Island needs a protector. And the native language of Jacob – the Island protector when Oceanic Flight 815 crashes – is Latin. Note: I have reorganized and expanded this post to address some distortions of my points on 3rd person limited that have appeared elsewhere. Should anything one character says about another be taken as objectively true canon unless otherwise contradicted? 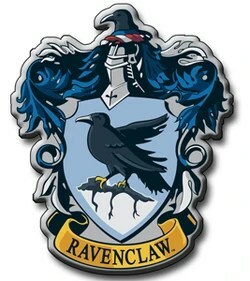 For example, should we automatically believe Sirius’ statement that Severus Snape knew more hexes and curses when he arrived at Hogwarts than most older students despite having no corroborating evidence to support Sirius’ statement, and despite the fact that the (objective) memories we see in the Pensieve really show no hint of Severus having an interest in the Dark Arts before arriving at Hogwarts? Words put into a character’s mouth by an author are frequently not intended to be taken literally, whether contradicted or not – particularly when the author is as talented as Rowling and as capable of drawing 3-dimensional characters who have their own agendas and biases. When those biases consist of full-blown personal enmities dating back 25 years, the red flag should go off, indicating that nothing this person says about his/her enemy should ever be taken at face value. This is not merely true about the Harry Potter series but about good fiction in general. If Rowling were using 3rd person omniscient narrator to describe Snape, and the 3rd person omniscient narrator stated in a god-like voice that young Severus came to school armed with hexes and curses more advanced than students much older, then yes we should take it at face value. If Dumbledore had made that statement, then we should believe it unless contradicted. But if Sirius or Remus made that statement, then we should be highly skeptical unless confirmed by a more objective source. And the same goes for anything Severus says about the Marauders. Rowling does occasionally use 3rd person omniscient with Snape (Spinner’s End and The Dark Lord Ascending come to mind). But curiously, her omniscient paints a decidedly unreliable portrait – and I mean this in a good way. It’s a very clever use of omniscient narration. We see Snape acting as a Death Eater, but since we have no access to his thoughts, we have no real way of knowing that he’s working from the inside to bring Voldemort down. We can only rely on our gut feelings about Snape – and those gut feelings, of course, lead different readers in two completely different directions at this point in the narration. Yes, Rowling is putting words in characters’ mouths, but that does not mean that their words are the equivalent of omniscient narration. Nearly every scene we have at Hogwarts – of Snape and everyone else – is being processed through Harry’s subjective consciousness and filtered through his perspectives and biases. This means that when Harry sees Snape look at him in a “shrewd and calculating” way, it means that Harry perceives the look to be shrewd and calculating. If Harry sees “hatred and revulsion” etched across the harsh lines of Snape’s face, it means that Harry perceives the look to be one of “hatred and revulsion.” An omniscient narrator might very well describe the scene very differently – or might not. We don’t know because we’re only seeing the scene through Harry’s eyes. Basically, what I’m saying is that a strong reading must take narrative technique into account. It’s not enough, IMO, to say that “Sirius said it and it’s not contradicted so it must be true.” We also have to take into account who Sirius is, what his perceptions and experiences are, how he regards the subject of his comment, and whether he is capable of delivering an objective statement. I’m not arguing that what Sirius says is untrue. I’m saying that it’s unconfirmed and therefore – because of Sirius’ history with Severus – it’s unreliable unless confirmed, not reliable unless contradicted. Okay, so to repeat – unreliable unless confirmed for the old enemies; reliable unless contradicted for characters like Dumbledore. Also, unreliable does not mean untrue. It means not to be taken at face value. I thought readers might like to know my critical assumptions in reading the text. Okay… we’ll be back to the Harry Potter re-read in a day or two.